The one-day Logitech PC sale includes the G600 gaming mouse for $25, and the G610 Orion mechanical keyboard for $60. Amazon is on quite the one-day sale streak for tech goodies. Earlier this week the retailer threw a time-limited PC gaming components sale, and today only, textlinkAmazon’s blowing out Logitech PC gaming and productivity peripheralsRemove non-product link. The current sale ends just before midnight on Friday night Pacific time and includes keyboards, mice, headphones, and webcams. We sifted through all the deals to find three items we feel are worth a look. The Logitech G600 MMO gaming mouse is priced at $25 as part of the sale. This is the all-time low for this mouse on Amazon, though it does have a wild price history with prices around $34 that also jump up as high as $60. Way back in 2012 when we first looked at the Logitech G600 MMO gaming mouse we were impressed. It offers a whopping 20 buttons to handle all yours macros, including 12 of them in a thumb panel, along with RGB lighting and an 8200 DPI sensor. 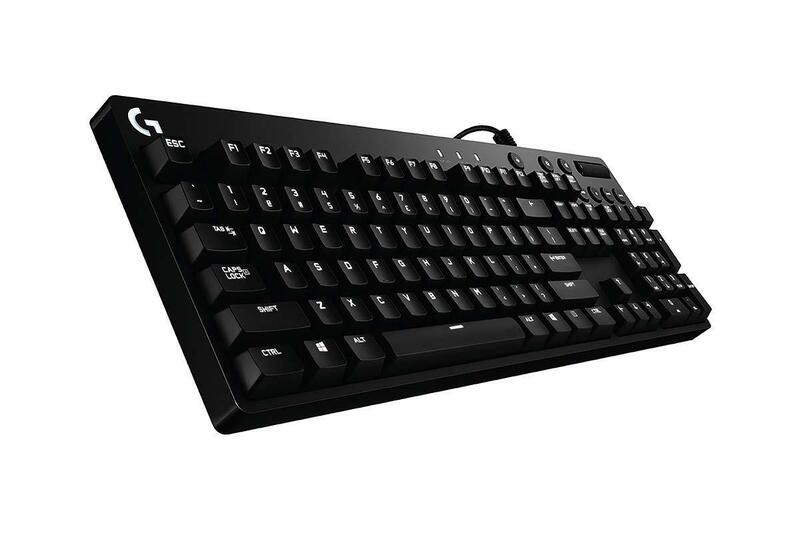 Next up is the Logitech G610 Orion mechanical keyboard for $60, down from about $90. This keyboard features Cherry MX Red mechanical switches, and per-key single color backlighting. This is a standard keyboard design that we really liked when we reviewed it (and its cousin the G810) about two years ago. Finally, there's a single webcam as part of this sale and surprisingly it’s not the iconic C920 beloved by Twitch streamers. Instead, it’s the basic Logitech C310 on sale for $19.36, instead of the $30 or so it normally sells for on the street. This webcam offers 720p video capture, a built-in mic, and automatic light correction. It won’t wow you with features, but it looks like a solid webcam for a good price. There are a lot more items available as part of today’s one-day Logitech saleRemove non-product link, so be sure to check out the whole thing.